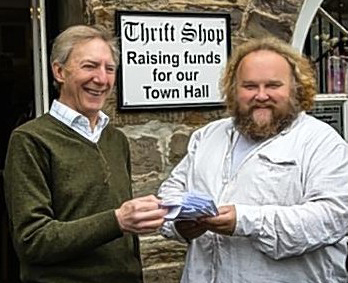 The Thrift shop is a very important cog in the workings of the Town Hall raising money whilst performing an excellent recycling function for the community. It sells Bric a Brac, Clothes and an assortment of anything else you can think of, donated by the public. The shop is manned by a great bunch of volunteers all giving up their free time to this vital task. If you have excess "stuff" cluttering up your life then sort it out and donate it to this very worthwhile enterprise. If you are local or are visiting Dulverton please pop in to see us, there are lots of bargains to be found.